Look! Straight ahead! It’s a dog! It’s a wolf! It’s… a coyote? So, it was late at night — just past midnight — and I had just fished a workout at the gym. I wasn’t quite ready to head home and saw the breezy night as an opportune to time to go for a nice walk on route to a local school park, where I was hoping to wrap up my workout with some calisthenics. 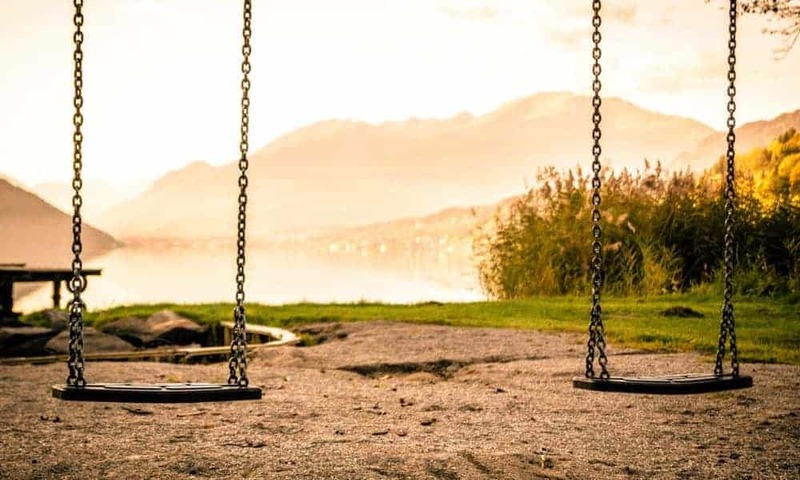 Situated between two elementary schools, the park was a wide open area with everything you would expect (playground, soccer field, baseball diamond, etc). The problem was that none of the lighting worked, so it got very dark at night. I wasn’t worried, though — what could possibly harm me at such an innocuous location, right? I arrived and everything went as planned for about 20 minutes. Then things got interesting after I turned my head and saw something run before quickly disappearing into the dark, something that at first didn’t seem too unusual. It was a dog, I thought, but what was dog doing by itself so late at night with no owner in sight? A stray, maybe? Possibly feral? Then I saw it walk by again walk, but this time it was smaller and wasn’t as glowy against the dark backdrop. A quick turn of my head to the left revealed another — the one I saw earlier! They weren’t dogs! After a closer look, the first one resembled a wolf, and the second less so. Concerned and with some trepidation, I wondered if I was dealing with a wolf pack as I looked around frantically to see if there were more. Realizing that there were only two, and with my knowledge of wild canines, it became evident that I was dealing with coyotes. The smaller coyote seemed to have gone its merry way, and I was hoping the wolfish-looking one would do the same. It didn’t! Instead, it got closer and closer until only some 12 feet separated us. It started sizing me up presumably out of curiosity, prancing side to side and then pausing as if to strike. Was it in a playing mood or was I being hunted? I look behind me to make sure the smaller one had no surprise for me. I was the only one in the park and felt rather exposed on all sides; yet, despite the fear coursing through my veins, I was surprisingly calm and collected. I couldn’t risk letting “Wolfie” get too comfortable and was definitely not in the mood to choke a coyote if push came to shove. I didn’t have my phone on me or any other tool for that matter, so I made a loud noise whenever it attempted to get closer. While that strategy worked to scare it back, the damn dog just wouldn’t back down, and I couldn’t keep yelling all night long. Moreover, the thought that I could be ambushed anytime by his friend never left my mind. 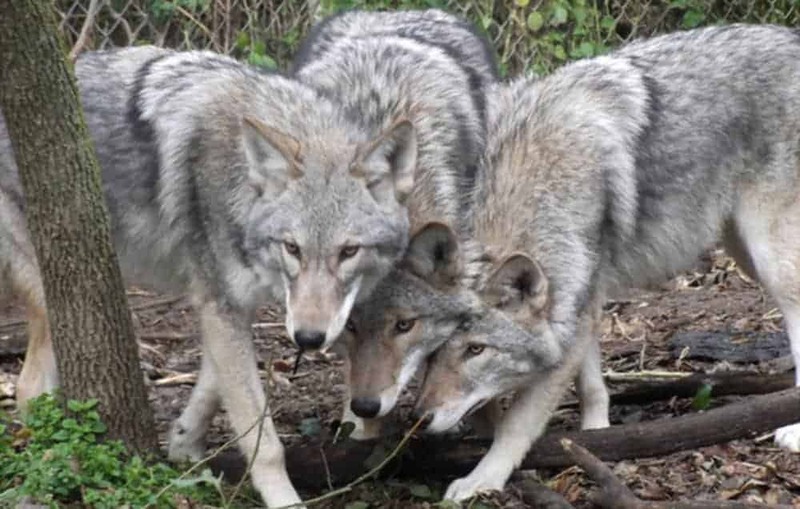 Choking one coyote can be difficult enough, but two? Let’s just say I didn’t want to entertain the idea. Something told me to seek higher ground, and fortunately, I was right by the playground’s vertical ladder. I climbed it without hesitation and perched at the top. Dogs are terrible climbers, I recalled, so after I let out two more yells, Wolfie decided to finally scurry off. Or did it? It was very late and I was tired after my workout, so as you can imagine, all I wanted to do was go home. However, I didn’t want to hastily climb down the ladder and then make a beeline to safety. What if the cunning coyotes were just waiting for me to get down? What if they start chasing me after I start running (I was deep in the park and at least 3 yards / 2.7 meters from the nearest house, not to mention I couldn’t see in the pitch dark and predatory animals like dogs instinctively chase anything that run). Eventually, I told myself that just like I couldn’t spend the entire night yelling at a dog, I couldn’t spend the entire night perched on a ladder. I climbed down, took a few steps, looked around, and ran like my life depended on it to the nearest sidewalk. I made it! I didn’t go straight to bed when I got home. As someone who loves nature and animals, I wanted to know more about what I had just experienced, so I did some research. After all, it’s not everyday a city folk encounters a coyotes, right? Nope! 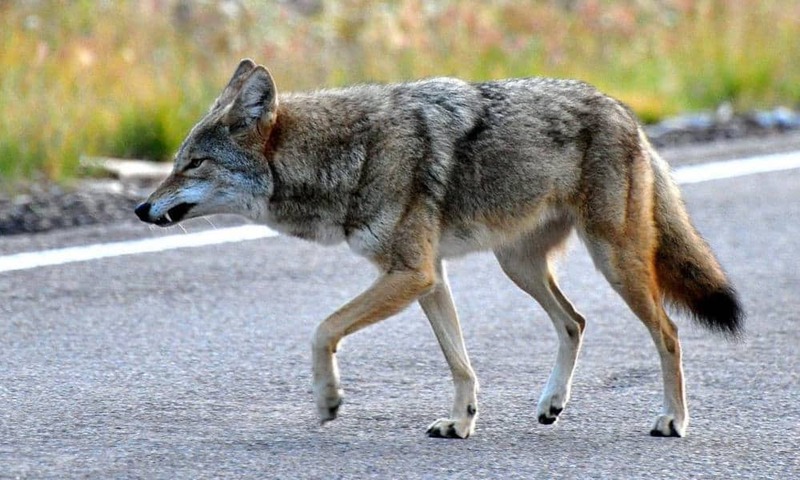 As it turns out, coyotes are common in urban areas, living wherever they can and feeding on anything they can find, including family pets (cats, small dogs, you name it…). And much like skunks, squirrels and raccoons, they are not going anywhere. If anything, they are becoming even more common. They are curious but skittish, and are known to watch and follow people from afar out of natural curiosity. Fortunately, attacks on humans are very rare because they are such skittish animals that shy away from our kind. If you display an aggressive action while being watched by a coyote (such as yelling or moving quickly), which I fortunately did, there’s a good chance it will become frightened and leave… eventually. It also helps to seek higher ground whenever possible and be healthy enough to choke wrestle one if need be. 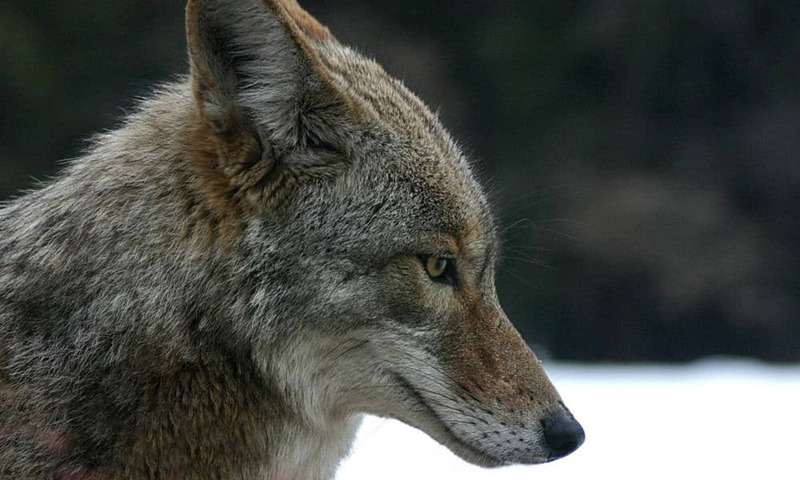 And as for why one looked more like a wolf than the other, it turns out that many, if not most, Eastern coyotes in North American have Eastern wolf genes. The aptly-name Coywolves are as cunning and adaptable as your average coyote, but bigger, more daring, and less skittish, probably explaining the appearance and behavior of Wolfie. With my curiosity quelled, I went to sleep that night happy to have encountered those doggies. More than that, I was relieved that I didn’t have to choke a coyote.